Getting money on and off online casinos is one of the biggest concerns for new players but luckily, these days, there are tonnes of fast, safe and secure options. The best online casinos use major credit cards like Visa and Mastercard, traditional bank transfers, a host of online payment processors including Paypal, Skrill, Neteller and more. Generally it’s easier and faster to get money onto a site than it is to make a withdrawal but if you know the facts and choose your casino and banking methods wisely, things will go much more smoothly. In this article we’ll cover everything you need to know to make sure you’re comfortable moving money on and off your favourite online casino account. We’ll detail all the different methods plus give you a rundown of the advantages and disadvantages of each. We’ll also explore which casinos offer which banking methods and explain why it’s important to choose an online casino with a strong reputation for processing payments and withdrawals both quickly and securely. When it comes to depositing and withdrawing at online casinos, it all starts with which casino you choose to play at. Nowadays players have a lot of options so it’s rare for successful online casinos to drag their feet paying out winning players. If they did, players would find a different place to play pretty quickly. That said, there is a lot of valuable information on the internet that can guide your decision when it comes to choosing an online casino that provides quick and easy deposits and withdrawals. One important thing to remember is that most casinos prefer you to withdraw money using the same methods you used to make your deposit. If you want to use a different method for withdrawing you can expect additional security screening. Check out our comprehensive online casino reviews and spend some time researching your top choices. Look for what other players are saying about their experiences using the site and cashing out their winnings. Also make sure to spend some time on the casino’s website to find out what banking options they offer and their rules and conditions around depositing and withdrawing funds. Probably the most common and widely used method of depositing and cashing out, credit cards are quick, convenient and also put an additional layer of security between you and the online casino. If there’s fraudulent activity associated with your account, the credit card company will cover the fraudulent charges, making sure you don’t lose any money. That’s not always the case if you’re using a debit card attached to your bank account. It’s important to remember that some banks and specific credit cards don’t allow you to make deposits at online casino sites. Read the fine print for your credit card or just attempt a deposit to see if your specific card can be used. Credit card deposits are instant which means the money is available for you to use right away and you can also withdraw directly to the same card. Withdrawals usually take between one and five business days. Another thing to remember is that some cards charge one-time fees for using them with online casinos, and start charging interest on the debt immediately, similar to when you use your credit card to take a cash advance at an ATM. 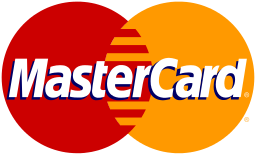 Most people are willing to put up with a few extra charges for the convenience offered by credit cards. If you discover that your specific credit card doesn’t allow you to make transactions with online casinos, don’t worry. There are tonnes of other easy and safe ways to get money on and off the sites. One really convenient way is by using a pre-paid debit card. These can be purchased at lots of different stores and are a guaranteed way to get money into your online casino account. Just make sure that the casino in question will accept the card-type you have chosen. Pre-paid debit cards are exactly what they sound like. You load them with money when you buy them and then use it like a debit card until the funds you loaded it with are gone. One big advantage is that you won’t get charged interest since you pay for it up front. Another good thing is that you’re less likely to play with money you can’t afford to lose since you’re not playing on credit. 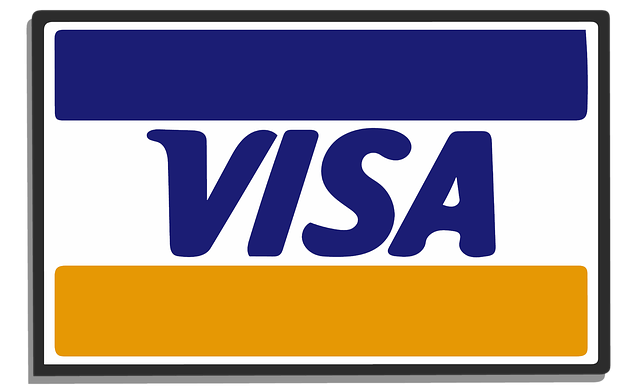 Although a credit card is always a useful payment too, there are of course also others that are widely accepted. One of these is the very popular way to easily move money to and from online casinos is by using an e-wallet. There are lots of trusted brands when it comes to e-wallets but the most widely used are Paypal, Neteller and Skrill. E-wallets work by signing up for an account and linking it to your credit card or bank account. Similar to using credit cards directly with the online casino, e-wallets provide an additional layer of security between the online casino and your bank account or credit card. E-Wallets are fast, convenient, secure and they’re accepted by the vast majority of major online casinos. Another reason they’re so widely used for doing transactions with online casinos is that nowadays many people already have one of these services set up which means all you have to do is pick the best casino and you’re ready to go. Some people don’t feel comfortable using e-wallets and might not have a credit card that allows transactions with online casinos. If you fall into that category, you might want to consider more traditional banking methods like bank and wire transfers. Once you’ve chosen the online casino you want to play at, get the casino’s banking information and then either visit your bank branch or use online banking to set up the transfer. The downside to this method is that usually the bank will charge you a fee for each transfer. The upside is that once you’ve made a successful deposit it’s often really easy to withdraw money directly into your bank account. It’s important to remember that you will probably be asked to provide personal information when you’re making transactions to and from your online casino account. This is for your own good. Online casinos go to great lengths to verify your identity to make sure no one except you can access your funds. You can expect more security screening when you try to withdraw funds for the first time. Once the online casino has verified your identity and your banking methods, withdrawals will be a lot faster and easier in the future. The best way to ensure a smooth and secure experience is to spend some time researching online casinos before you sign up. Make sure they have a strong reputation and try to find out what other players have experienced making deposits and withdrawals from that site. Check out our comprehensive online casino reviews for more information and to find the online casino that’s right for you.